How did the working experience of Organization for Educational Change (OEC) help Mr. Karim to secure the prestigious Fullbright Scholarship for his higher studies? The day I entered LUMS as an undergraduate student, it felt like a wish come true. God has been very kind to me by giving me so many opportunities, which are not much available to the majority. I am always grateful to God Almighty, for what I am blessed with. In my heart, I know that just thanking is not enough, I have to create opportunities for others who are disadvantaged by social, economic and financial situation. 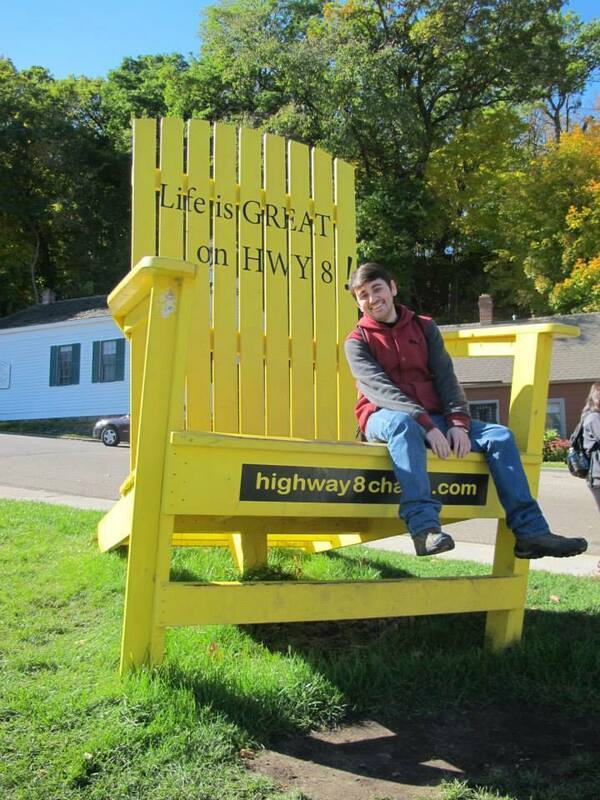 From the very start of my university life, I wanted to contribute something to my community, for my people. I kept asking myself, how I should be able to do so. What was the most prolific thing where I could invest my time? While I was in a wondering situation, my friends came up with the idea of creating a magazine, which could create awareness regarding education in the students, and the parents of GB. That single idea has transformed into a whole student body which is now called, OEC. Once I got to know about OEC, the wandering questions in mind got the answer. I, thus, decided to work with OEC and help whoever asks for help regarding career guidance or regarding their higher education. As, education is believed to be the only long term solution which can bring people out of poverty and can generate a more equal level playing field. Working as a member of OEC, I have visited different schools in the villages of GB, and met with different stakeholders. These visits and meetings have not only given me new insights to the problems which are both intriguing and challenging, but also helped in changing the way I look and ruminate about issues. 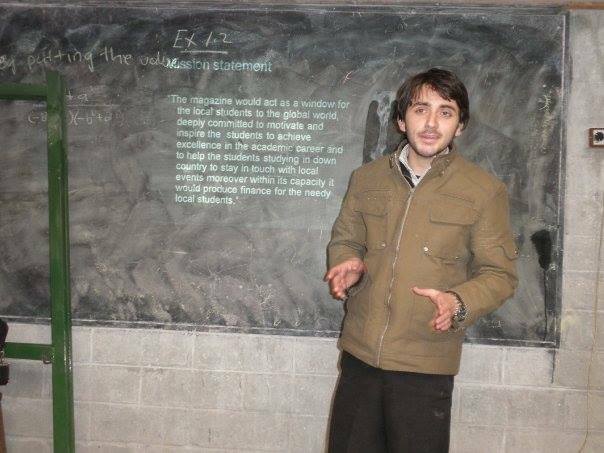 This maturity and knowledge which I have gained, by working with OEC, helped me in achieving the Fulbright scholarship. 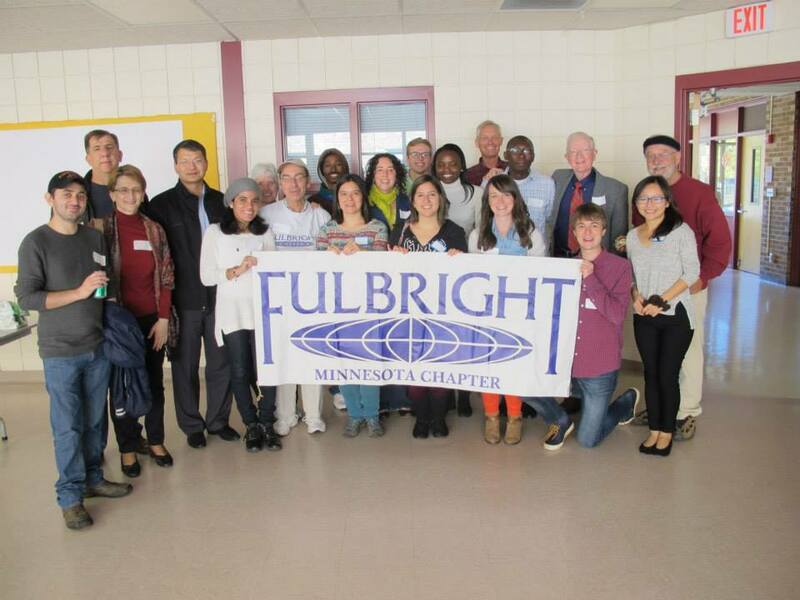 When I started writing my personal statement for Fulbright, one of the things which made me idiosyncratic applicant from the other applicants was, my experience of OEC. The exposure which I have gained from OEC made me vibrant in achieving my goals, and ways of achieving those goals, which was one of the important things in Fulbright application. I love the saying of writer Neal A. Maxwell, “We should certainly count our blessings, but we should also make our blessings count”. If anyone feels that they have been blessed, then he/she has the responsibility to contribute something back to the people who are not blessed like them. The act of helping others will not only gives the moral satisfaction, but it will also help in opening new doors for you. Mr Karim explaining the mission of Educure magazine during the very first educational expo of OEC in Village Oshikhandass, district Gilgit. 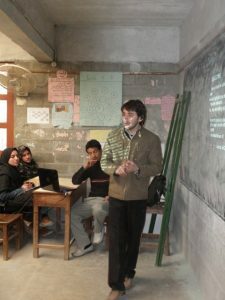 Organization for Educational Change (OEC) is a youth-led non-profit organization that works in the regions of Gilgit-Baltistan and Chitral (GBC) on projects aimed at creating a society that is politically democratic, scientifically innovative, socially and culturally integrated and economically prosperous.